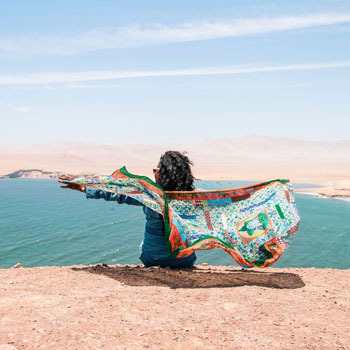 *2018 Updated Information* Rainbow Mountain Peru was only opened to outsider visitors just a few years ago, but it’s quickly becoming a must-see destination for travelers. If you’re having doubts about visiting Rainbow Mountain Peru, make sure to read our 7 Reasons You Should Book Your Trip to Rainbow Mountain Peru to find out why you definitely need to visit Rainbow Mountain Peru. 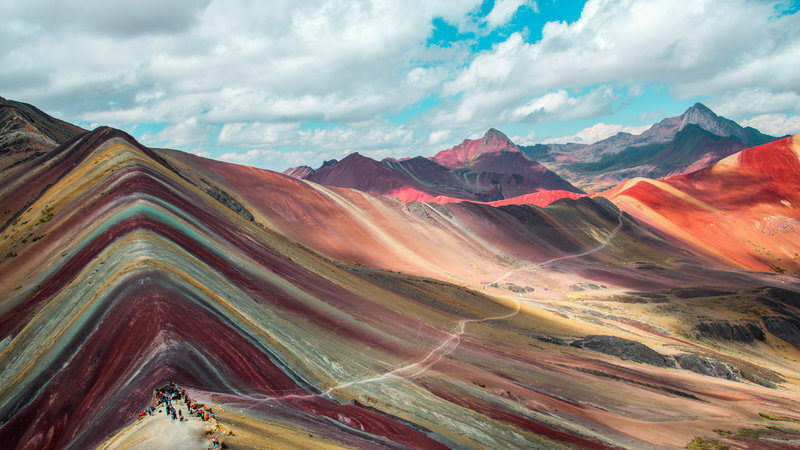 When I first saw the pictures of Rainbow Mountain Peru, I thought to myself, “wow, that is some shameless photoshopping right there.” After doing some more research, however, I found out that the photos are actually completely real and it’s possible to take a day trip to the magical Rainbow Mountain Peru from the city of Cusco. I knew I had to see this unbelievable sight for myself, so I began planning a trip to Peru right away. Well, I just got back from my trip across Peru. 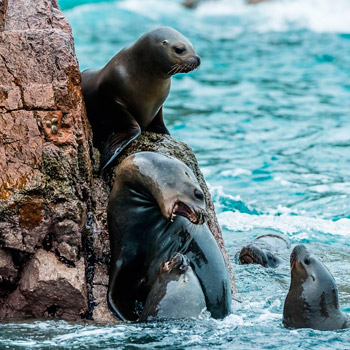 I saw so many amazing things: the diverse wildlife at the Ballestas Islands, the largest sand dunes on the continent at Huacachina, and, of course, the incomparable lost city of the Incas, Machu Picchu. After seeing all that, I’d still say that my favorite day of the whole trip was the attraction that inspired my trip in the first place: the hike to Rainbow Mountain Peru. 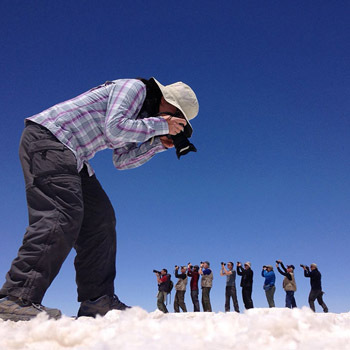 Keep reading to find out why you should book a trip to Rainbow Mountain Peru too. Peru is one of the most attractive countries in the world for travelers and tourists. 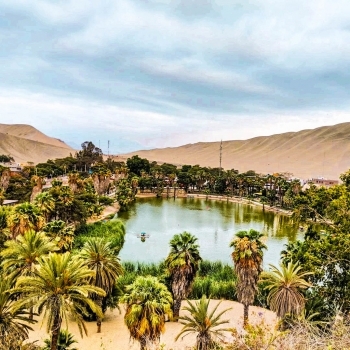 There’s something here for just about everyone, from Inca ruins and mountain hikes to scenic beaches and desert sandboarding. 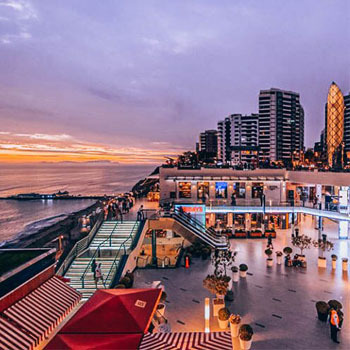 With that said, it’s inevitable that you’re going to run into some crowds while you’re traveling in a place that’s as safe and popular as Peru. While there’s nothing wrong with being around other tourists (and it gives you a chance to meet people from all around the world), it’s only natural to want to get away to somewhere a little more picturesque and off the tourist track. Rainbow Mountain Peru is not completely unknown to tourists (just search for it on Instagram). However, it was only “discovered” a few years ago when global warming caused its snowpack to melt, revealing the brilliant rainbow-colored layers underneath. Since tours to the site have only been in operation for a couple years, Rainbow Mountain Peru doesn’t receive anything like the mass tourism of, say, Machu Picchu or the Nazca Lines. Of course, this could change as the word spreads about Rainbow Mountain Peru. That’s why the best time to go is now, before the guidebooks have caught on! Rainbow Mountain Peru, known to locals as Vinicunca, is part of the Vilcanota mountain range which also includes the sacred peak of Ausangate. It used to only be accessible via a grueling several-day hike through the wilderness, but as of a few years ago it’s possible to see the mountain on a day trip thanks to a new road in the area. Despite this new road, Rainbow Mountain Peru’s location can only be described as “remote.” If you take the day trip from Cusco, you’ll be on the road for about three and a half hours before you arrive at the trailhead, from which you’ll still have to hike for another couple of hours before you arrive. That’s one of the best reasons to visit Rainbow Mountain Peru: you’ll see a part of Peru that is rarely seen by travelers! Outside of Rainbow Mountain Peru, this area receives very few outside visitors. The hills and valleys nearby are still used by local farmers as grazing grounds for their herds of llamas and alpacas. If you’re lucky you may even see some non-domesticated creatures such as the condor, vizcacha, chinchilla and the rarely seen vicuña. A visit to Rainbow Mountain Peru may be one of your best chances to get up close and personal with some Andean wildlife. Since Rainbow Mountain Peru has only recently begun receiving outside visitors, there still is no government control over access to the site. The people of the area charge a simple S/10.00 fee (about $3 USD) for access to their land. Since poverty is widespread in the Andes, it’s great to know that your money is going directly toward supporting the community. In addition, tourism provides a market for enterprising locals who can sell services and goods to visiting hikers, things like horse rentals, rain ponchos, and coca leaves. 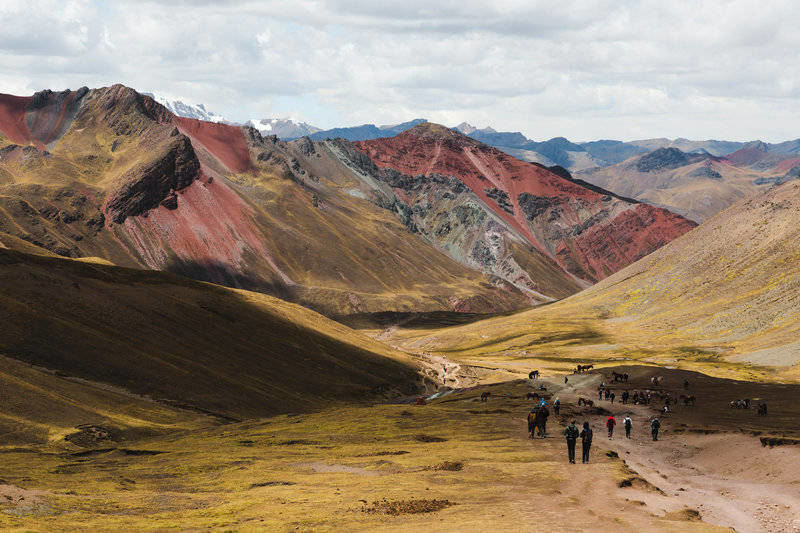 The hike to Rainbow Mountain Peru is definitely on the tougher side. Not only is the path often muddy and slippery (make sure to bring some decent shoes! ), but the hike also reaches an altitude of 5,200 meters above sea level. 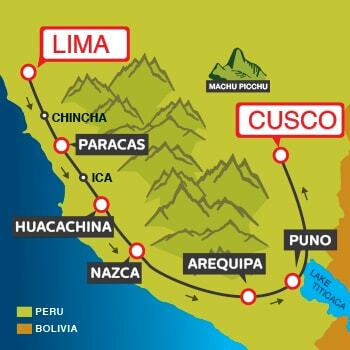 That’s nearly 2,000 meters higher than the city of Cusco where most tours depart from, and it’s likely that this will be one of the highest altitude excursions you’ll do on your travels in Peru. 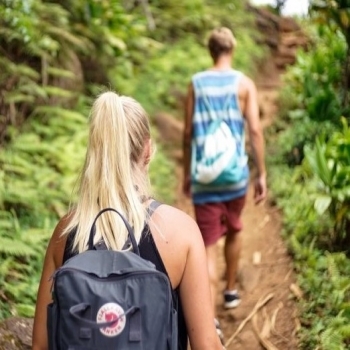 That means that this hike will definitely put your body to the test! 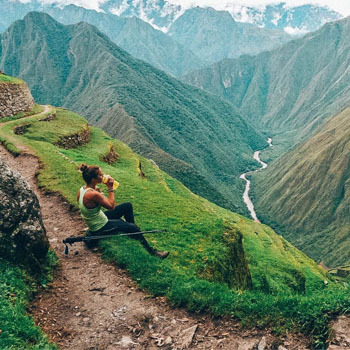 Everyone who does the Rainbow Mountain Peru hike should feel a sense of accomplishment after completing it. While it’s definitely a fun way to get some exercise and see what your body is capable of, you also shouldn’t underestimate the effect that the altitude can have on your body. Stay on the safe side and make sure that your tour provider carries oxygen tanks on hand before you book your tickets. Visit the official Rainbow Mountain Peru operators page for more information about choosing a tour provider. 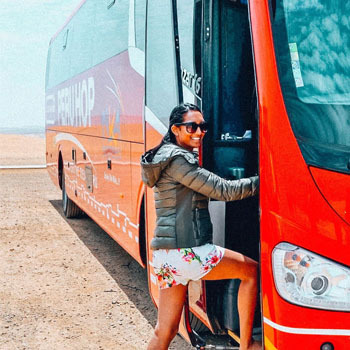 While some unscrupulous agents in Cusco might try to scam you into buying an overpriced ticket, the trip to Rainbow Mountain Peru is normally one of the cheapest day trips that you can do in the area. Tours generally run between $30 and $60 USD, depending on the provider. That’s quite a bargain compared to the hundreds of dollars it can cost to do the Inca Trail, for instance. Plus, the tours usually include breakfast and lunch as well. 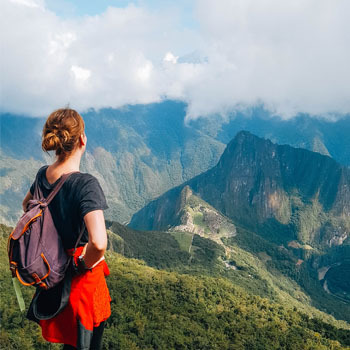 My favorite provider was Rainbow Mountain Travels but you can visit the official Rainbow Mountain Peru operators page for some advice on picking a tour. Well, this one probably goes without saying but wow, look at that view! 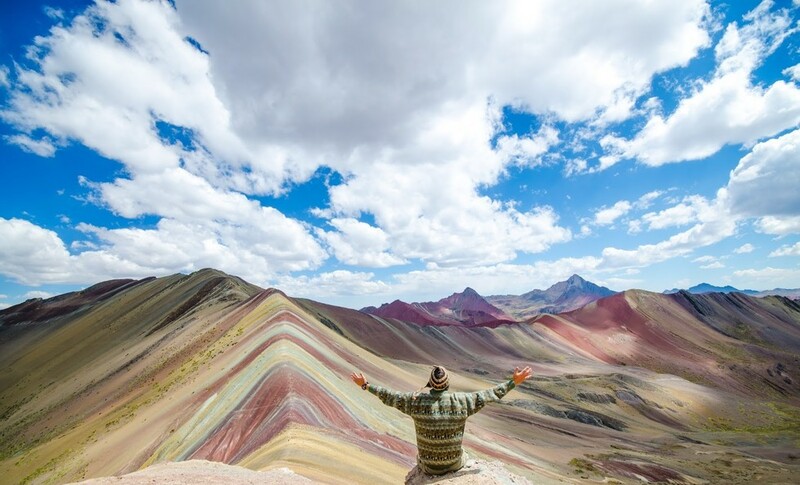 Rainbow Mountain Peru is a truly one-of-a-kind sight, something that you cannot see anywhere else in the world. You have to see it with your own eyes to believe it’s real. 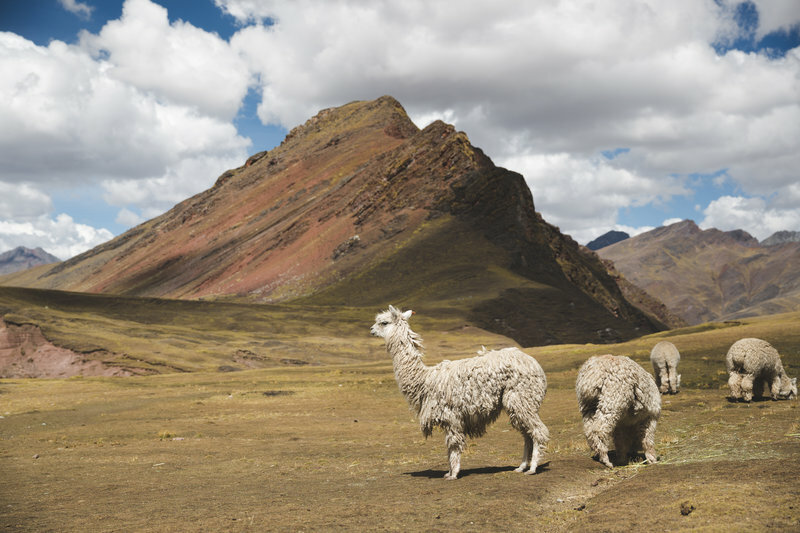 The vivid colors, the backdrop of snowcapped mountain in the distance, the valleys below with herds of llamas. You won’t forgive yourself if you make the mistake of missing out on this unique attraction. Hopefully this blog has helped you make up your mind about visiting the amazing seven-colored Rainbow Mountain Peru! For more information about Rainbow Mountain, I recommend visiting our official Rainbow Mountain Peru info page where you can find detailed information about how to prepare for the hike, advice on picking a tour provider and everything else you need to know.